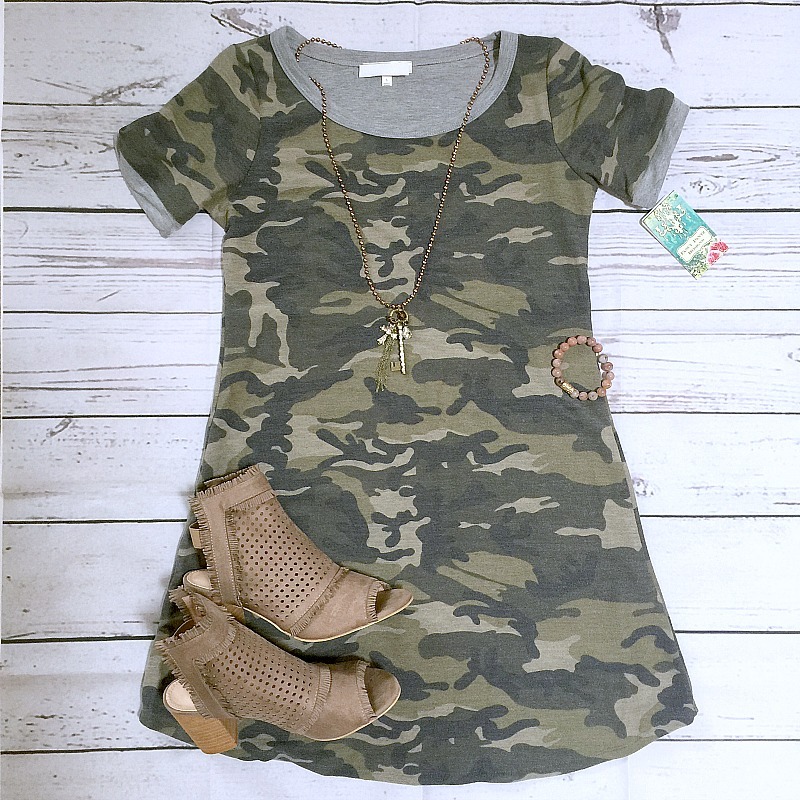 Fun camo print t shirt dress with grey trim around sleeve and scoop neckline. Amazing price! Also available in Plus Sizes. Wear as a dress or tunic.